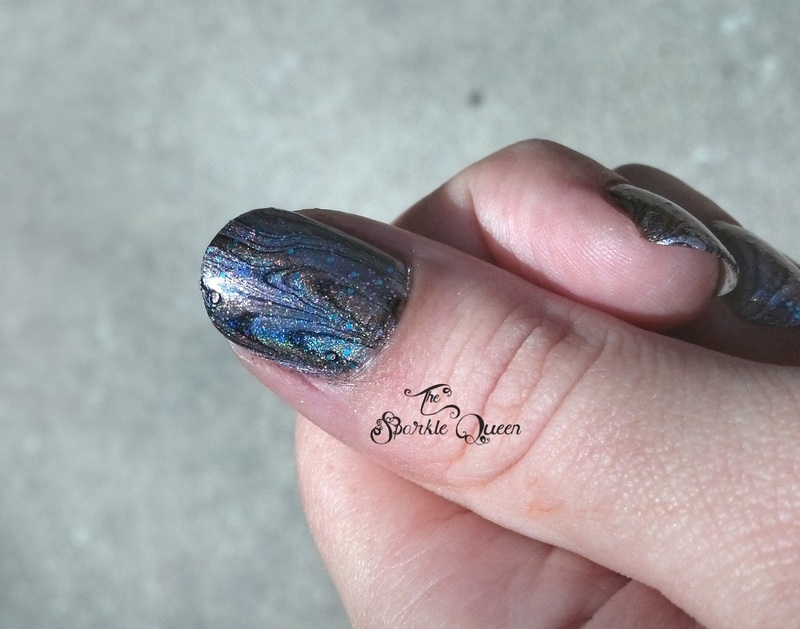 October #HePicksMyPolish challenge. Just a little shiny don’t you think? more black and silver like. 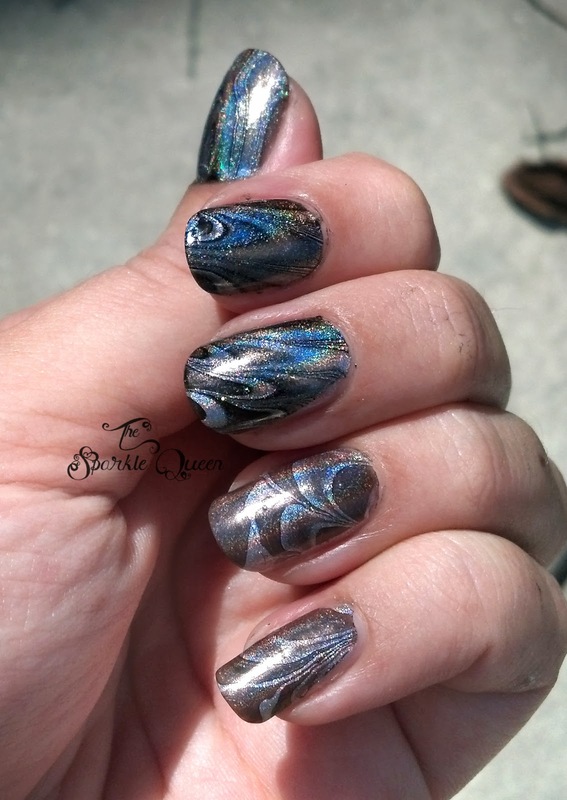 Part of the joys of water marbling! to see what you make for this challenge round! Thank you Richa! 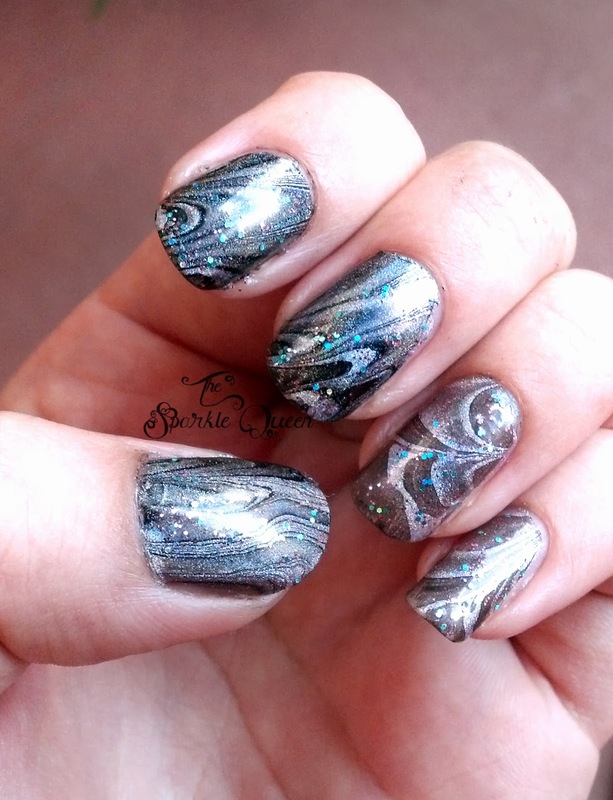 I love how the holos work together in the marble. 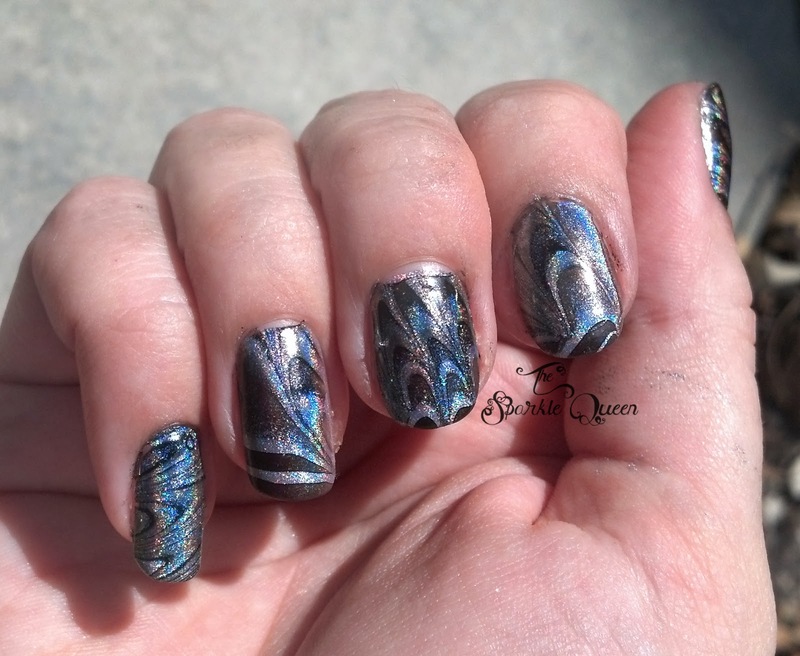 This watermarble is simply GORGEOUS!!! Aww don't say that! What part of the process throws you off the most? Let me know, I'll see if I can't help troubleshoot with ya!